SHOTSMAG CONFIDENTIAL: Books to look forward to from Random House - Cornerstone. Books to look forward to from Random House - Cornerstone. Everyone thinks Emma Dockery is crazy. Obsessed with finding the link between hundreds of unsolved cases, Emma has taken leave from her job as an FBI researcher. Now all she has are the newspaper clippings that wallpaper her bedroom, and her nightly recurring nightmares of an all-consuming fire. Not even Emma's ex-boyfriend, field agent Harrison 'Books' Bookman, will believe her that hundreds of kidnappings, rapes, and murders are all connected. That is, until Emma finds a piece of evidence he can't afford to ignore. More murders are reported by the day - and they're all inexplicable. No motives, no murder weapons,, no suspects. Could one person really be responsible for these unthinkable crimes? 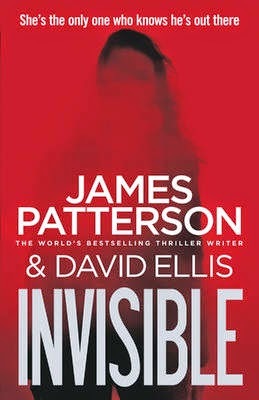 Invisible is by James Patterson and David Ellis and is due to be published in July 2014. A father returns home to find that his family has been kidnapped and the only way to save their lives is for him to kill another innocent person. So begins a journey that will force Special Agent Marcus Williams of the Shepherd Organization to question all that he believes, unearth his family's dark legacy, and sacrifice everything to save those he loves. 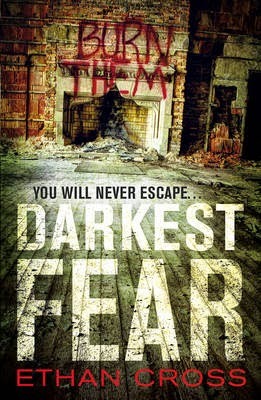 In order to stop this brutal and deadly game, Williams must enlist the help of one of the world's most infamous and wanted men ...the serial killer Francis Ackerman Jr. Darkest Fear is by Ethan Cross and is due to be published in October 2014. 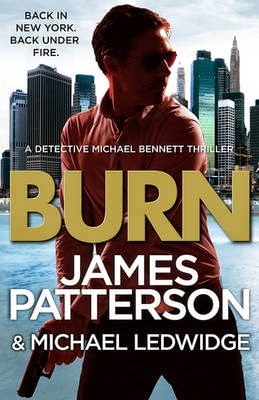 Burn is by James Patterson and Michael Ledwidge and is due to be published in September 2014. Detective Michael Bennett finally returns to New York City - and to the most unsettling, horrific case of his career. At last, Detective Michael Bennett and his family are coming home to New York City. Thanks to Bennett, the ruthless crime lord whose vengeful mission forced the Bennett family into hiding has been brought down for good. Back in the city that never sleeps, Bennett takes over a chaotic Outreach Squad in Harlem, where he receives an unusual call: a man claims to have seen a group of well-dressed men holding a bizarre party in a condemned building. With no clear crime or evidence, Bennett dismisses the report. But when a charred body is found in that very same building, he is forced to take the caller seriously - and is drawn into an underground criminal world of terrifying depravity. The Weight of Blood is the debut psychological crime novel about family lies and dark secrets in an isolated community as a series of women go missing. People still whisper about Lucy Dane's mother who vanished years ago from the town of Henbane, deep in the Ozark Mountains. When one of Lucy's friends is found murdered, Lucy feels haunted by the two lost women: by the mother she never knew, and the friend she couldn't protect. But her search for answers, in a place where secrets are easily concealed, leads her to a chilling discovery. And with this revelation, she must grapple with the meaning of family, the secrets we keep, and the lengths we will go to protect the ones we love. 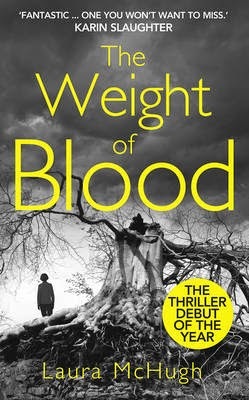 The Weight of Blood is by Laura McHugh and is due to be published in July 2014. When Santosh Wagh isn't struggling out of a bottle of whisky he's head of Private India, the Mumbai branch of the world's finest PI agency. In a city of over thirteen million he has his work cut out at the best of times. But now someone is killing women - seemingly unconnected women murdered in a chilling ritual, with strange objects placed carefully at their death scenes. As Santosh and his team race to find the killer, an even greater danger faces Private India - a danger that could threaten the lives of thousands of innocent Mumbai citizens. 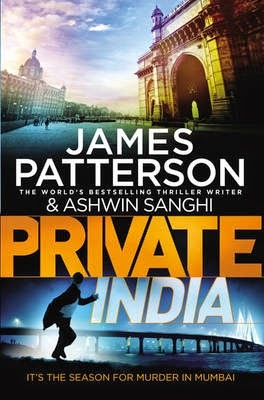 Private India is by James Patterson and Ashwin Sanghi and is due to be published in August 2014. When Ram and Tulsi fall in love, the young woman's parents are dead set against the union. She's from a high-caste family; he's an Untouchable, from the lowest strata of Indian society. Young Tulsi's father locks her up and promises to hunt down the "loverboy dog”. Fortunately, India's Love Commandos, a group of volunteers dedicated to helping mixed-caste couples, come to the rescue. But just after they liberate Tulsi, Ram is mysteriously snatched from his hiding place. The task of finding him falls to India's "Most Private Investigator". Unfortunately, Vish Puri is not having a good month. He's failed to recover a cache of stolen jewels. His wallet has been stolen and he's having to rely on his infuriating Mummy-ji to get it back. And to top it all, his arch-rival, suave investigator Hari Kumar, is also trying to locate Ram. To reunite the star-crossed lovers, Puri and his team of operatives must infiltrate Ram's village and navigate the caste politics shaped by millennia-old prejudices. The Case of the Love Commandos is by Tarquin Hall and is due to be published in October 2014. A match has obtained on DNA sample 7426 to Canadian national number 64899, identified as: Anique Pomerleau, White/Female DOB: 12/10/75 the subject is currently not in custody. For a decade, Temperance Brennan has been haunted by the monster. Anique Pomerleau. Killer of young women. The one who got away. The one who has now come back. Feeding on fear, grief, and rage. Killing again. Killing girls. Getting closer. Coming for Tempe. 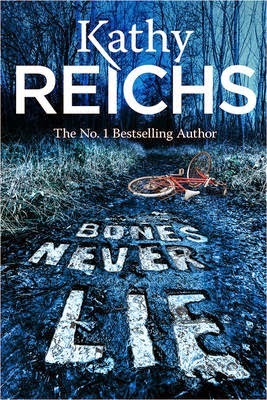 Bones Never Lie is by Kathy Reichs and is due to be published in September 2014. London, May 1665. On a dark road outside London, a simple robbery goes horribly wrong - when the gentlemanly highwayman, William Coke, discovers that his intended victims have been brutally slaughtered. Suspected of the murders, Coke is forced into an uneasy alliance with the man who pursues him - the relentless thief-taker, Pitman. Together they seek the killer - and uncover a conspiracy that reaches from the glittering, debauched court of King Charles to the worst slum in the city, St Giles in the Fields. But there's another murderer moving through the slums, the taverns, and palaces, slipping under the doorways of the rich. A mass murderer. Plague. 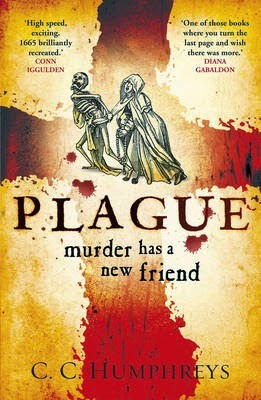 Plague is by C C Humphreys and is due to be published in July 2014. Detective Alex Cross is being stalked by a psychotic genius, forced to play the deadliest game of his career. Cross' family - his loving wife Bree, the wise and lively Nana Mama, and his precious children - have been ripped away. Terrified and desperate, Cross must give this mad man what he wants if he has any chance of saving the most important people in his life. The stakes have never been higher: What will Cross sacrifice to save the ones he loves? Hope to Die is by James Patterson and is due to be published in November 2014. DI Jack Delaney is trying to make a clean break. Tormented by his troubled past, he has taken his young family out of London, swapping the mayhem of London for the tranquil calm of the north Norfolk coast. Except it's not so tranquil. After a terrible storm hits Sheringham, a body is discovered beneath the rubble of a collapsed cliff. Natural disaster? No, this looks like murder, and Jack is the only local resident qualified to investigate. But when more disappearances follow and the local police step in, Jack finds himself plunged dangerously deep into the investigation - and in the sights of the killer on the loose. 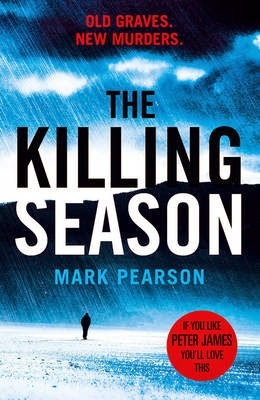 The Killing Season is by Mark Pearson and is due to be published in August 2014. Washington, DC. Former soldier and elite CIA operative Ryan Drake is heading out for dinner when he witnesses a sniper attack on a crowded freeway. A motorcade full of Russian Federal Security Force members - in Washington for a top level conference with their US counterparts - has been ambushed. Many have been killed and worst of all, Drake discovers that the leader of the strike team was Anya - the dangerous and enigmatic woman he once risked everything to protect. Drake cannot believe her capable of such an atrocity but with the Russians baying for blood and tensions rising, Drake and his depleted team head for Siberia to discover the truth. And here he must confront the terrifying possibility that Anya's betrayal will unmask secrets greater and more devastating than he could ever have imagined. Betrayal is by Will Jordan and is due to be published in September 2014. Rea Carlisle has inherited a house from an uncle she never knew. It doesn't take her long to clear out the dead man's remaining possessions, but one room remains stubbornly locked. When Rea finally forces it open she discovers inside a chair, a table - and a leather-bound book. Inside its pages are locks of hair, fingernails: a catalogue of victims. Horrified, Rea wants to go straight to the police but when her family intervene, Rea turns to the only person she can think of: DI Jack Lennon. But Lennon is facing his own problems. Suspended from the force and hounded by DCI Serena Flanagan, the toughest cop he's ever faced, Lennon must unlock the secrets of a dead man's terrifying journal. 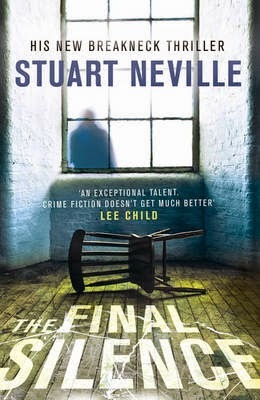 The Final Silence is by Stuart Neville and is due to be published in July 2014. 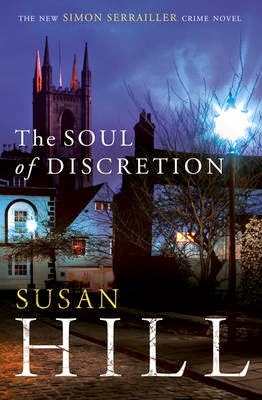 The Soul of Discretion is by Susan Hill and is due to be published in October 2014.The cathedral town of Lafferton seems idyllic, but in many ways it is just like any other place. As part of the same rapidly changing world, it shares the same hopes and fears, and the same kinds of crime, as any number of towns up and down the land. When one day DC Simon Serrailler is called in by Lafferton's new Chief Constable, Kieron Bright, he is met by four plainclothes officers. He is asked to take the lead role in a complex, potentially dangerous undercover operation and must leave town immediately, without telling anyone - not even his girlfriend Rachel, who has only just moved in with him. Meanwhile, Simon's sister Cat is facing difficult choices at work that will test her dedication to the NHS. But an urgent call about her and Simon's father, Richard, soon presents her with a far greater challenge much closer to home. To complete his special op, Simon must inhabit the mind of the worst kind of criminal. As the op unfolds, Lafferton is dragged into the sort of case every town dreads. And Simon faces the fight of his life. Atlanta, 1974. As a brutal killing and a furious manhunt rock the city, Kate Murphy wonders if her first day on the police force will also be her last. For life is anything but easy in the male-dominated world of the Atlanta Police Department, where even the other female cops have little mercy for the new girl. Kate isn't the only woman on the force who is finding things tough. Maggie Lawson followed her uncle and brother into the ranks to prove her worth in their cynical eyes. When Maggie and Kate become partners, and are side-lined in the search for the city's cop killer, their fury, pain, and pride finally reach boiling point. With the killer poised to strike again, will Kate and Maggie have the courage to pursue their own line of investigation? And are they prepared to risk everything as they venture into the city's darkest heart? 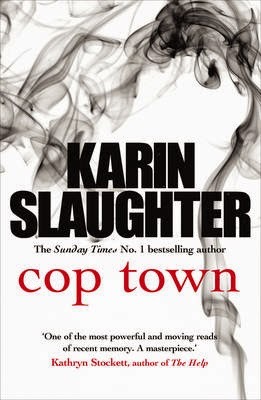 Cop Town is by Karin Slaughter and is due to be published in July 2014. It is December 6, 1941, in Los Angeles. World War II has raged for two years in Great Britain and Europe. Japan has gone on a rampage in Asia and the Pacific - and America's entrance into the war is a widely accepted and utterly foregone conclusion. Los Angeles is mainland America's gateway to the Pacific conflict, home to the largest Japanese community in the United States. Bomber squadrons of the Imperial Japanese Air Corps will attack the U.S. fleet moored at Pearl Harbour, Hawaii, within 24 hours. That catastrophic moment in U.S. history will be preceded by the murders or ritual suicides of a Japanese family in L.A., a scant dozen hours earlier. Massive roundups of suspected Japanese subversives will soon begin; racial hysteria will overtake L.A. The stage has been set for James Ellroy's largest, most historically dense and factually detailed novel - and the first book in his 'Second L.A. Quartet' - Perfidia. Perfidia is an epic-length novel that will transpire within only 24 days - December 6, 1941 through to New Year's Eve. 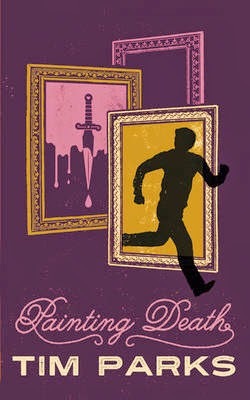 A crime novel, a war novel and a historic romance, it will unfold in real time as two police officers, a Japanese-American forensic chemist and a young woman coerced into a cabal of Hollywood leftists work around the clock, while Los Angeles comports under night time blackouts, war fever and escalating racial tension spawned by the Pearl Harbour bombings. Characters from Ellroy's previous seven novels - including arch villain Dudley Smith, anti-hero of The Big Nowhere, White Jazz and L.A. Confidential - will be joined by new characters - both real-life and fictional - in this grand drama of Los Angeles during the first month of America's entry into the war. Perfidia is due to be published in September 2014. When the bones of two severed hands are discovered in a box, an investigation into a long buried crime of passion begins. And a group of friends, who played together as children, begin to question their past. 'For Woody, anger was cold. Cold and slow. But once it had started it mounted gradually and he could think of nothing else. He knew he couldn't stay alive while those two were alive. Instead of sleeping, he lay awake in the dark and saw those hands. Anita's narrow white hand with the long nails painted pastel pink, the man's brown hand equally shapely, the fingers slightly splayed.’ Before the advent of the Second World War, beneath the green meadows of Loughton, Essex, a dark network of tunnels has been dug. A group of children discover them. They play there. It becomes their secret place. Seventy years on, the world has changed. Developers have altered the rural landscape. Friends from a half-remembered world have married, died, grown sick, moved on or disappeared. Work on a new house called Warlock uncovers a grisly secret, buried a lifetime ago, and a weary detective, more preoccupied with current crimes, must investigate a possible case of murder. Ruth Rendell digs deep beneath the surface to investigate the secrets of the human psyche. The interconnecting tunnels of Loughton in The Girl Next Door lead to no single destination. But the relationships formed there, the incidents that occurred, exert a profound influence - not only on the survivors but in unearthing the true nature of the mysterious past. 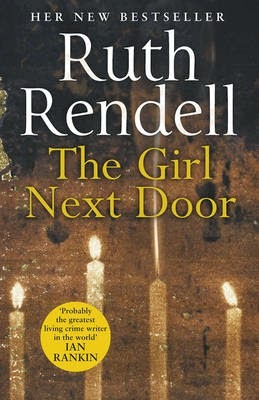 The Girl Next Door is due to be published in August 2014. 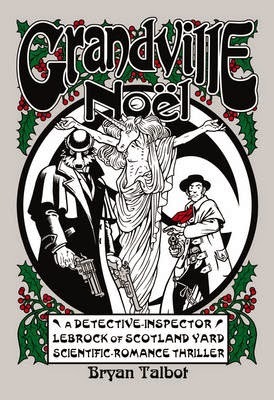 Grandville Noel is by Bryan Talbot and is due to be published in November 2014. With his trusty adjunct, Detective Sergeant Ratzi, away for Christmas, there's no holiday for Detective Inspector LeBrock of Scotland Yard as he embarks on an investigation into the disappearance of his housekeeper's niece, Bunty Spall. The trail leads to a growing religious cult, where a charismatic unicorn messiah and his con men cronies, already responsible for mass murder in the United States, are about to lead a crusade for the ethnic cleansing of the French Empire's doughfaces - the derogatory nickname for humans used by the majority, animal-headed population. Teaming up with Chance Lucas, a gun-slinging operative of the Pinkerton Detective Agency, and reigniting his steamy love affair with the voluptuous Parisian badger prostitute Billie, LeBrock clashes with both cult fanatics and doughface terrorists, uncovering in the process a centuries-old religious conspiracy that threatens to plunge the world into bloody civil war. With Paris in the grip of the mysterious crime lord, Tiberius Koenig, and an increasingly violent backlash by human extremists, can LeBrock stop the seemingly inevitable slide into fascism? What is the secret of the legendary True Gospels? Can he rescue Bunty Spall from the clutches of the strangely hypnotic unicorn named Apollo? But does Bunty want to be saved? And will LeBrock be back in time for Christmas dinner? No badger does it better! The loner Erlendur has recently joined the police force as a young officer. The beat on the streets in Reykjavik is busy: traffic accidents, theft, domestic violence, and contraband... And an unexplained death. When a tramp he met regularly on the night shift is found drowned in a ditch no one seems to care. But his fate haunts Erlendur and drags him inexorably into the strange and dark underworld of the city. Reykjavik Nights is by Arnaldur Indridason and is due to be published in September 2014. The hands were warm. Soft fingers, but flesh inflected with iron. Squeezing. The tongue lolled and protruded from the mouth. Vertebrae fragmented, one, two, three, until finally the hands relaxed and the limp body slid from their embrace. Blood turned to ice and sealed the nostrils. It's the week before Christmas. Catherine Berlin sits alone gazing at a bank of monitors, each capturing a slice of a vast industrial estate. A van appears: two men delivering crates, moving quickly. Her boss tells her to ignore them, but she can't. Berlin's scars have faded, but she still walks with a limp. She's broke and working nights as a relief CCTV operator, and looking for something more substantial. Her heroin habit is under control - only just. The night shifts end, but now Berlin herself is being watched. When an old friend offers her a job in Russia, she quickly agrees. The details are vague: a mysterious businessman with money to spend, a UK company offering a high fee for Berlin to investigate. Easy enough. But Berlin arrives in Moscow to find that her problems are only just beginning. She is soon forced to confront some uncomfortable truths about her past, and her present. A body is found at the airport: a man clutching a sign with her name on it. Her pursuers reappear, and her guide, a Brit named Charlie, has secrets to hide. When Berlin's businessman goes missing, she realises that she cannot trust anyone or anything, if she is to survive. 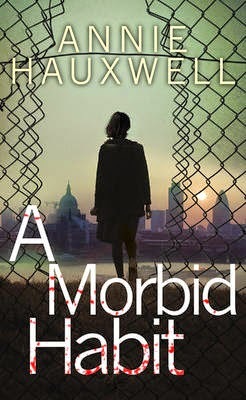 A Morbid Habit is by Annie Hauxwell and is due to be published in July 2014. DCI Billy McCartney has gone to ground, disillusioned with his job. When a runaway turns up on his doorstep, her story plunges Mac back to the summer of 1990, and one of his most traumatic cases. Ibiza - a joint venture with the Spanish serious crime agency. McCartney and his partner DS Millie Baker have been detailed to infiltrate the Liverpool-based drug gang responsible for a wave of ecstasy-related deaths. But their stakeout takes both Mac and Millie to the heart of a dark empire whose tentacles stretch from Ireland to Morocco, and whose activities include industrial-scale drug production - and terrorism. They're close to their big bust when Millie is abducted by the gang, and killed. McCartney never quite recovers from it. The waif who knocks on Mac's door twenty-four years later has escaped from those same captors; a dynasty of international dope dealers based high in the Moroccan Rif. What she tells McCartney blasts his apathy away, and sends him on a mission that goes far beyond law and order. This is his chance for redemption. The House on the Hill is by Kevin Sampson and is due to be published in August 2014. Charlo Torp has problems. He's grieving for his late wife, he's lost his job, and gambling debts have alienated him from his teenage daughter. Desperate, his solution is to rob an elderly woman of her money and silverware. But Harriet Krohn fights back, and Charlo loses control. Wracked with guilt, Charlo attempts to rebuild his life. But the police are catching up with him, and Inspector Konrad Sejer has never lost a case yet. Told through the eyes of a killer, The Murder of Harriet Krohn poses the question: how far would you go to turn your life around, and could you live with yourself afterwards? The Murder of Harriet Krohn is by Karin Fossum and is due to be published in June 2014. Some cases aren't as cold as you'd think Kurt Wallander's life looks like it has taken a turn for the better when his offer on a new house is accepted, only for him to uncover something unexpected in the garden - the skeleton of a middle-aged woman. As police officers comb the property, Wallander attempts to get his new life back on course by finding the woman's killer with the aid of his daughter, Linda. But when another discovery is made in the garden, Wallander is forced to delve further back into the area's past. This is a never before published Kurt Wallander novella. 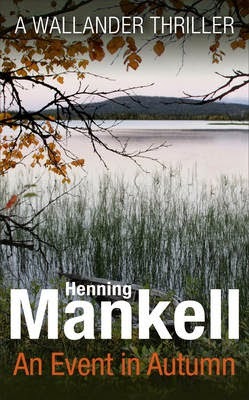 An Event in Autumn is by Henning Mankell and is due to be published in September 2014. Morris Duckworth has a dark past. Having married and murdered his way into a wealthy Italian family he has long left aside the paperweight and the pillow to become a respected member of Veronese business life. But it's not enough. Never satisfied with being anything short of the best, he comes up with a plan to put on the most exciting art exhibition of the decade, based on a subject close to his heart: killing. All the great slaughters of scripture and classical times will be on show, from Cain and Abel, to Brutus and Caesar. But as Morris meet stiff resistance from the Neapolitan director of Verona's Castelvecchio museum, everything starts to unravel around him. His children are rebelling, his mistress is asking for more than he wants to give, his wife is increasingly attached to her ageing confessor, and worst of all it's getting harder and harder to ignore the ghosts that swirl around him, and the skeletons rattling in every cupboard. The shame of it is that Morris Arthur Duckworth really did not want to have to kill again. Painting Death is by Tim Parks and is due to be published in July 2014.